After Walt Disney built Disneyland, he liked to tinker with and make improvements to the rides, attractions, lands, and other aspects of his beloved park, a practice he called "plussing." With the introduction of My Disney Experience, the Walt Disney World resort has taken its groundbreaking FastPass ride reservation program and plussed it—big time. The revolutionary program, estimated to have cost as much as $1 billion, can radically alter the way you experience the parks, but it takes a little getting used to. Let's go over some My Disney Experience basics so that you can use them wisely when you plan and enjoy your next Disney World visit. Before we get off the "plussing" reference, note that the plus sign (+) is right in the FastPass+ name. The heart of My Disney Experience is a major upgrade to Disney's original FastPass program. Oh, and a major plus of this alleged $1 billion program: It's included in the ticket prices and won't cost you any more. Before you begin to make your plans, it may help to better understand some of the the names and concepts listed below. The different elements and the catchy names that Disney uses for its trip planning program can be a bit confusing. That's why we've broken down and defined all of the relevant terms such as FastPass+, and My Disney Experience. In order to use FastPass+, you need valid park tickets. You can purchase them directly from Disney (or from a third-party vendor). You could also bundle them as part of a hotel and parks package. In order for the magic to work, you'll need to go to MyDisneyExperience.com and create an account. Enter your reservations info. If you have purchased on-property hotel reservations or tickets from a vendor other than Disney, link them using the on-screen options. If you will be staying at a Disney World hotel, you can get complimentary MagicBands for everyone in your party. These are wearable RFID bracelets that will contain all of your reservations and will serve as your electronic admission passes to the parks, your electronic tickets to reserved rides and other FastPass+ experiences, your electronic room key, and, if you link your credit card to them, your electronic means to make cashless purchases throughout the resort. If you order them far enough in advance, you can personalize your MagicBands, and Disney will ship them to your house. Otherwise, they will be waiting for you when you arrive at your hotel. If you will not be staying at a Disney World hotel, your park tickets could substitute for MagicBands, or you have the option of purchasing MagicBands at the parks. At MyDisneyExperience.com, you and your park companions can book up to three FastPass+ reservations per day in advance of your visit. Unlike the old FastPass program, Disney World has added many more rides and attractions to the FastPass+ list as well as character greetings and special viewing areas for parades and shows. You can also make restaurant reservations for table-service eateries at MyDisneyExperience.com. The vast resort has a load of dining options, including some restaurants which are quite good. Download the My Disney Experience on your mobile Apple or Android devices. You could use the app to make plans in advance of your visit, but you would really want to have the app when you are at the parks. If you don't have a mobile device or don't want to use the app, it's not necessary. But it sure would make your experience at the resort better, and it includes some really cool features. 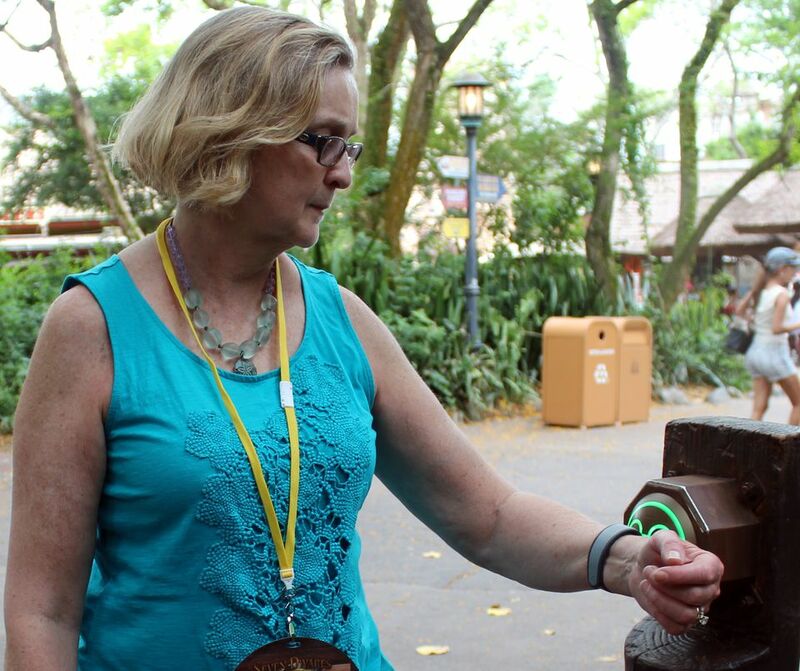 Redeem your FastPass+ reservations using your MagicBands (or park tickets if you don't have the bracelets). Use the app on your mobile device to check your reserved times. You can also use the app to check standby wait times, make changes to your FastPass+ reservations, view interactive park maps, get resort info, and more. Once you have used all three of your advance FastPass+ reservations, you can make additional FastPass+ reservations on the day of your visit using your mobile device or the FastPass+ kiosks in the parks. You can also use the kiosks to make other My Disney Experience plans if you do not have a mobile device at the parks. This is a basic overview of My Disney Experience. If you really want to make the most of the program, check out my rundown of great My Disney Experience tips. With a little bit of knowledge, there are some great, er, magical things you could do on your next visit to Disney World.